Come sail from our base on the wild coast north west of the lake with our Hobie 15 and 16 catamarans / beginners, funboard, tandem or formula / canoes 1 to 4 people / canoe / sailing dinghies and liveable / 5-seater water pedal with slide / motor fishing boats without a license. Discover the Polynesian canoes for another slide and our stand-up paddles with family or group for 1 to 10 people! 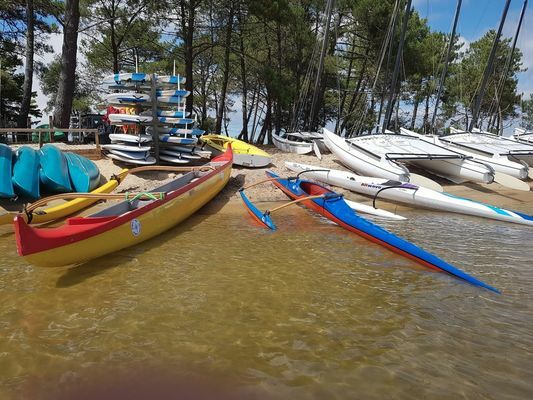 There is no review about Plein R' Loc - Catamarans Hobie Cat 15 Et 16, be the first to leave one !